Dadtography.com is excited to announce our new photo sharing contest on Instagram! We really love seeing photos shared using #Dadtography, so we decided to create a contest to help get more photos flowing! Once you've entered, you'll be eligible to win awesome prizes! Don't worry, there's no judgement here. The winner will be drawn at random, not based on the number of likes or anything like that. We've already got our first three prizes lined up and you're going to love them. Check them out below! There's only one of each available so don't wait to enter! A: Share a photo on Instagram with #Dadtography and follow Instagram.com/DanielRuyter. 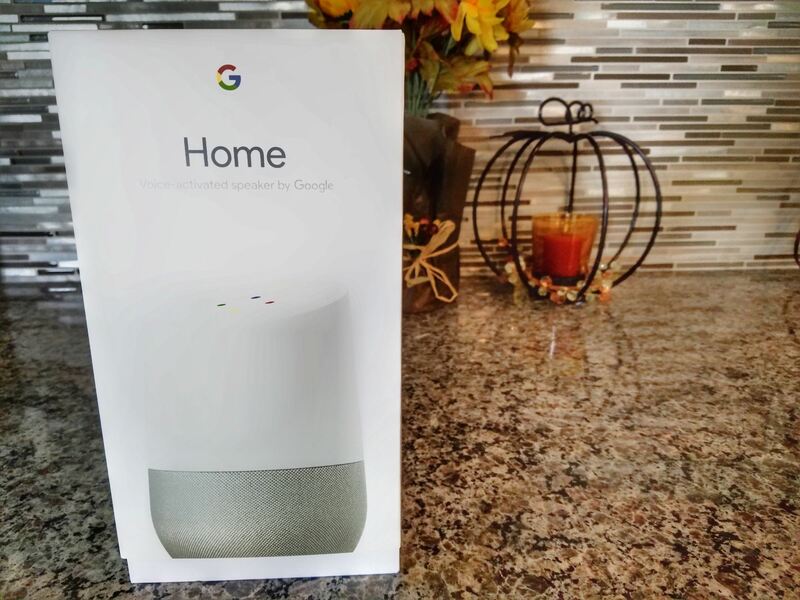 December Prize - Win This Google Home Voice-Activated Speaker! Our third and final prize for the year is none other than a Google Home voice-activated speaker. I know you've seen these before and you want one. Well, this is your chance to get it for free! To enter, first share your photo on Instagram and include #Dadtography as a hashtag. Then follow me (@DanielRuyter) on Instagram. That's it - you're entered to win! Prior #Dadtography Instagram contest winners from October and November will not be eligible to win this prize. Please note, this contest is not sponsored, endorsed nor affiliated with Google. Many thanks to all that entered the Dadtography.com Instagram photo sharing contest. Our final winner has been drawn - a big congrats to @bjweinberg, our final contest winner For December! Check out @bjweinberg's winning photo submission on Instagram. We'll ship your Google Home in just a few days! November Prize - Win This Amazon Fire TV Stick! For November's prize, we up the ante just a bit to an Amazon Fire TV Stick! This is the latest version that also supports Amazon Alexa voice controls. If you entered in October, you're automatically entered to win the November and December prizes as well. However, October's winner won't be eligible to win November or December's prizes. Please note, this contest is not sponsored, endorsed nor affiliated with Amazon. Congrats to @mlphotography77, the winner of our monthly prize drawing for November! Check out @mlphotography77's winning photo submission on Instagram. We'll ship your Amazon Fire TV Stick in just a few days! October Prize - Win This Battery Pack! Everyone that enters the Dadtography Instagram photo contest in October will be elligible to win this 10000mAh battery pack. That's some pretty serious juice to recharge your devices. To enter, first share your photo on Instagram and include #Dadtography as a hashtag. Then follow me (@DanielRuyter) on Instagram. That's it - you're entered to win! Please note, this contest is not sponsored, endorsed nor affiliated with Domain.Me. Congrats to rdarcy1981 for being the lucky winner of our drawing for October. Here's the photo that was the winner. We'll be sending out your battery pack prize shortly! Q: Do I have to be a dad or photographer to win? The fine print - contest rules. The contest will start on October 1, 2017 and will end on December 31, 2017. Contest is only open to residents of the United States of America and Canada. An official entry is made when an entrant shares a photo to their Instagram account and adds the hashtag #Dadtography, then follows the account @DanielRuyter on Instagram. Multiple photos can be shared, but only one entry will count. Previous month's winners of this contest are not eligible to win again. Winners will be notified via a comment to their winning entry on Instagram. Winners will have 24 hours to respond and confirm they have won otherwise a new winner will be chosen.